One of my most interesting genealogical finds regarding my wife’s Darling family was her first known immigrant Darling Ancestor was Dennis Darling. Dennis was born about 1640 and came to Massachusetts Colony during the 1600s. It appears that Dennis had at least 10 children. 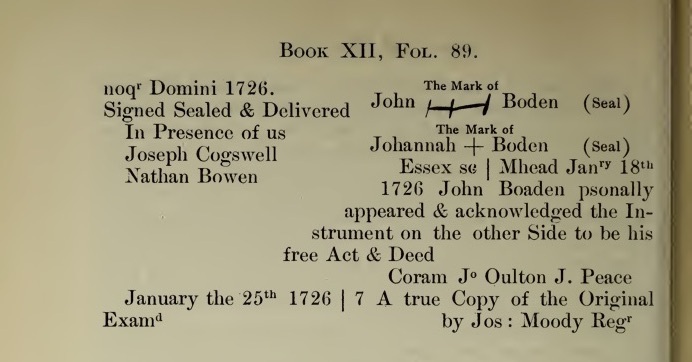 His youngest child, Benjamin, was born in 1664 in Braintree. Benjamin is my wife’s 6th great-grandfather. 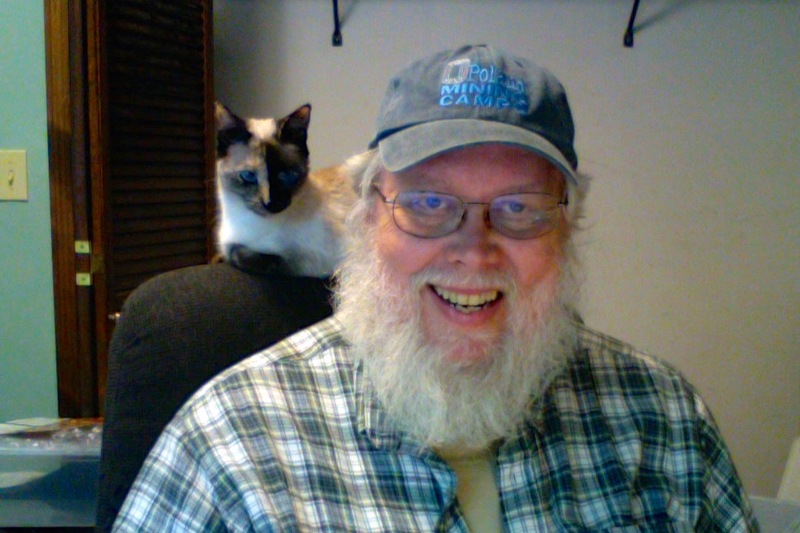 His second oldest was John, who I learned came to Maine. Imagine my surprise when I learned that John bought property here in Scarborough in 1726. He bought 60 acres near the Spurwink River, which is about 5 miles from where my wife and I live. Also, one of my wife’s nieces lives much closer to the Spurwink River, only about a mile away. She may pass by old 7th great-grandfather Darling’s place regularly. I’d like to determine exactly where it was. The Description of following the line “to a great oak & from thence northwest up into the Woods” isn’t a lot of help nearly 400 years later. I am looking at York County Deeds, Volume XII, Folio 89, “Boden To Darling” deed transfer. To have and to hold the before granted Premisses with the Appurtenances unto the said John Darling his Heirs Exec Admin18 & Assigns for ever To his & their own proper Use Benefit & Behoof forever more And I the said John Boden for my self my Heirs Execrs & Adminrs do covenant promise & grant unto & with the said John Darling his Heirs & Assigns for ever That before & until the Ensealing hereof I am the true sole proper & lawful Owner & Possessor of the before granted Premisses with the Appurtenances—And have in my self good Right full Power & lawful Authority to give grant bargain sell aliene release convey & confirm the same as aforesaid And that free & clear & freely & clearly executed acquitted & discharged of & from all former & other Gifts Grants Bargains Sales Leases Mortgages Wills Entails Joyntures Dowries Thirds Executions & Incumbrances whatsoever—And further more I the said John Boden for my self my Heirs Execrs & Adminrs do hereby covenant promise & engage the before granted Premisses with the Appurtenances unto him the said John Darling his Heirs & Assigns for ever to warrant secure & defend against the lawful Claims or Demands of any Person or Persons whatsoever In Witness whereof the said John Boden with Johannah my Wife have hereunto set our Hands & Seals the sixth Day of January in the thirteenth Year of his Majesty’s Reign Anno Domini 1726. 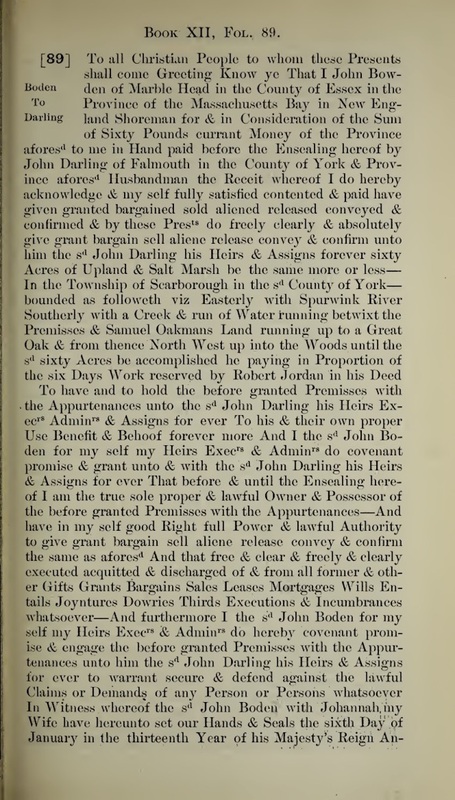 John Darling bought 60 acres in Scarborough, ME in 1726 from John Bowden (or Boden). The property abutted Premisses & Samuel Oakman land. York County (Me. )., Richardson, H. W., Sargent, W. M., Chapman, L. B., Bowler, E., Maine Historical Society., & Maine Genealogical Society (1884- ). (1989). York deeds. [1642-1737] Book 12 [1726-1727]. Portland: J.T. Hull.